I have been under the weather the last few days, and did not get this posted for you earlier. Today is the final day to download these particular Share The Memory Freebies. The next Share The Memories will be released tomorrow, June 20th. The Connie Prince Sneak Peek for the upcoming release has been posted on Connie's Blog! The Sneak Peek image is linked to Connie's blog where you must leave your comment for an opportunity to win the upcoming release!! It was a very successful Blog Hop. Thank you to everyone who stopped by!! Here are my results from the Random Number Generator. The 64th post belongs to LINDA MCFADDEN. Linda, please contact me coyotelady(at) mac(dot)com and I will forward your $10 Dreaming Tree Gift Card. We have all been asked to post the grand winner who is Heidi and posted on Sweet Love Canada. Please contact Vicki occasionbag(at)gmail(dot)com or Mike dezinesbyem(at)gmail(dot)com to claim your prize! On A Summer's Day - Dreaming Tree Blog Hop Continues! 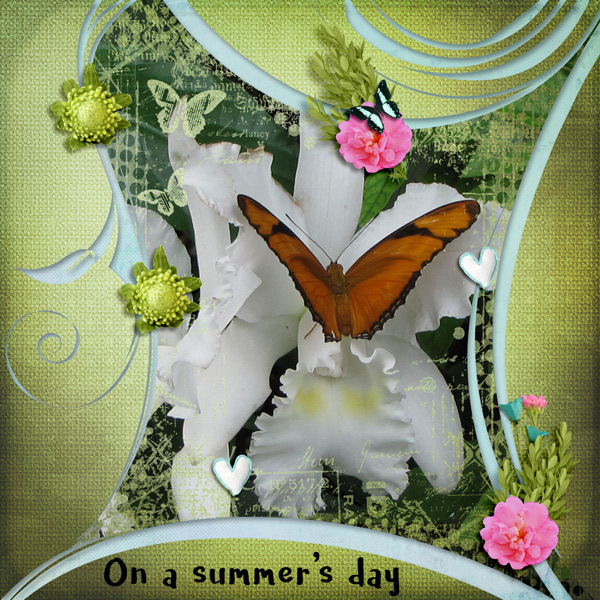 Here is a layout I created using two products from PrelestnayaP Designs. The Dreaming Tree Blog Hop Continues through June 13, 2016. Welcome To The Blop Hop Featuring Dreaming Tree SVG Files! Thank you for participating in the June Blog Hop Featuring Dreaming Tree SVG Files. To enter for your chance to receive a Dreaming Tree Gift Certificate you must leave a comment. The more blogs you visit and comment on, the more chances you have to win! Contest runs from 06/10/2016 12:00 AM EST to 06/13/2016 11:59 PM EST. 1 winner will be awarded from each blog and 1 grand prize winner will be awarded based on all comments from all blogs. Winners will be posted by June 15, 2016. Please check back to see if you are a winner! Anyone who knows me knows that I LOVE playing with paper. I have been creating things using SVG files for quite a few years now. Dreaming Tree creates the best SVG files out there. I simply love their instruction sheets and video tutorials. Leo Kowal, owner, takes SVG creation to a new level, creating designs that easy to assemble. A dear friend recently lost her mother. 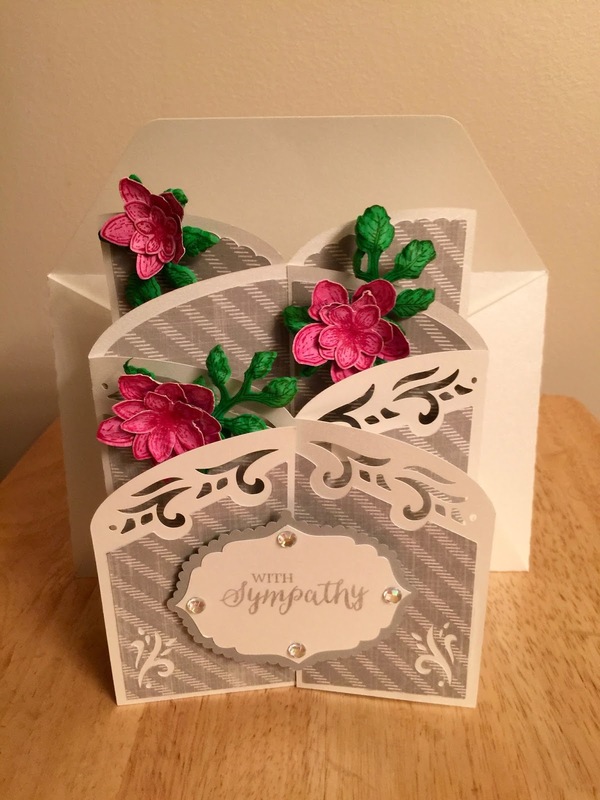 I chose the Lily Cascade Card from Dreaming Tree to create a sympathy card. The Lily Cascade is available individually or as part of a bundle. The original SVG file has different flowers. I wanted to add some additional depth and color to the card, so I used different flowers. I have 5 cutting machines. The latest is the Cricut Explore Air which I am still learning to use. So far, my machine of choice is the Silhouette Cameo. I also have an Eclips and 2 Cricut Expressions. I created my project using the Cameo. Software and the ease of use is very important to me. I personally find the Silhouette Studio Designer Edition to be the easiest to use. A list of supplies follows the photo of my final project. There you have it. Dreaming Tree SVG files that create beautiful and unique cards and other 3D projects! 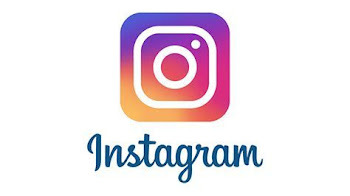 Be sure to leave your comment for an opportunity to win the $10 Dreaming Tree Gift Card. Blog Hop Participants follow and thanks for stopping by! Sign up for Dreaming Tree information and for FREE SVG files here! Would you like an opportunity to win the upcoming GGI from Connie Prince? Click on the Sneak Peek above and you will be taken to the thread on the Gotta Pixel Forum where you would leave a comment by Saturday morning at 9 AM Eastern time. This week's new release is the June Template Bundle. For one week only, you can buy all 4 packs (that is 16 templates!) for the low price of $4.99. 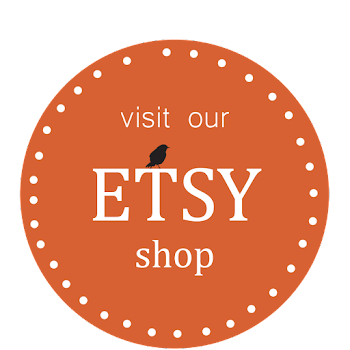 Stop back tomorrow for the Dreaming Tree Blog Hop!! You do need an account with My Memories in order to download any freebies, however you are not required to use My Memory software to use the freebies. Just select General for the download file.